Preheat the oven to 180C which is 356F or 160C Fan which is 320F. Lightly grease a 33cm/13in x 23cm/9in Swiss Roll/roulade tin then line the base and sides of the tin with a large sheet of greaseproof paper, pushing it into the corners (greasing it helps the paper stick to the tin). If you make a small diagonal cut in each corner of the paper you can fold the paper into the corners more easily. Melt the Green and Blacks or Divine or whatever in a bowl set over a pan of barely simmering water which is a bain marie. Once melted, remove from the bain marie so it cools slowly. For the bowl you’ll be putting the egg whites in, make sure it is completely dry and clean. Place the six egg whites in a large bowl and beat until stiff but not dry. If you turn the bowl upside down, the whites should not to fall out. Put the six egg yolks in a separate bowl with the sugar and vanilla plus cocoa powder and beat using the same blender (no need to wash the whisks) on high speed for 2-3 minutes or until thick and creamy and the mixture leaves a thick ribbon-like trail when the beaters are lifted. Pour the cooled chocolate into the sugar and egg mix and gently fold together until well combined. Gently stir two large spoonful’s of the egg whites into the chocolate mixture to ‘loosen’ the mix, then fold in the remaining egg whites using a large metal spoon. You need to keep as much air in this as possible so don’t beat or over-mix. Pour the mixture into the prepared tin and gently move the tin around until the mixture is level. Whip the double cream until it just holds its shape in preparation for the next step (be careful to not over-beat it). Lay a large piece of greaseproof paper on your work surface and dust it lightly with icing sugar as a way to keep it from sticking (and it looks nice). Turn the roulade/swiss roll out on to the paper. If you leave the lining paper on top and carefully peel off the paper it makes everything easier. Gently (very gently) pour the salted caramel along the roulade but not to the border. It will not spread without tearing the rouladeswiss roll/. Now carefully spread the roulade/swiss roll with the whipped double cream, leaving a border of about 2cm / 3/4in all the way around the edges. 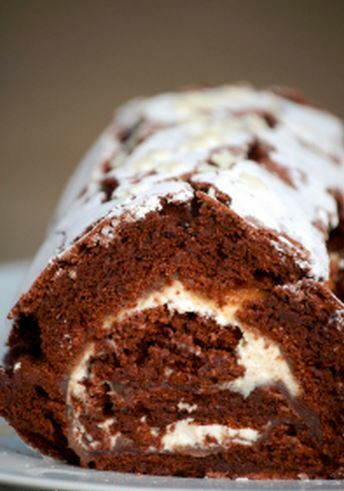 Don’t worry if the roulade/swiss roll cracks and don’t worry about what Mary Berry would say. Just accept we all are not her and fallible. Finish the roll with the join underneath then lift the roulade onto a serving plate or board. Dust with more icing sugar. 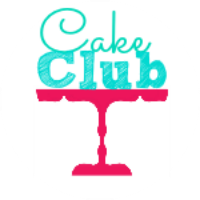 I’m entwring this in to Cake Club Challenge – I hope it qualifies! Well it’s hard to go wrong with this, it sounds divine and I want a slice REALLY badly now. It does qualify and it looks SOO good! Thanks for entering Judith!